The Y is more than just a gym. Our focus in healthy living allows us to offer resources and guidance to help children, adults and families in Enid to maintain or improve their physical activity, health and wellness. TAKE THE GUESS WORK OUT OF YOUR WORKOUT At the Y, Personal Training is about more than achieving your goals. 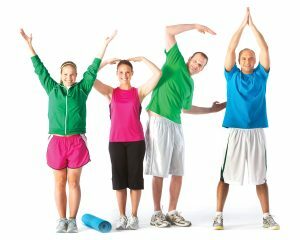 YMCA Personal Training takes the guess work out of your workout, because when you succeed, we succeed. Our nationally-certified personal trainers have the expertise and experience to help you achieve your health-and-fitness goals. They have the heart to motivate, support and celebrate with you every step of the way. Our Personal training sessions may be purchased as individual sessions or in packages. Get fit together! Experience the incredible energy that only group classes can give you. Instructors lead you through the workouts providing you effective, fun and easy-to-follow steps. We offer a wide array of classes at our YMCA including , cycling, TurboKick, yoga, pilates, BodyPump, and more! Classes are designed for beginners to advanced and FREE with a Y membership. The YMCA is proud to participate in the Healthways Silver Sneakers® Fitness Program, the nation’s leading exercise program for older adults. More than just a gym membership, SilverSneakers participants are offered specialized exercise classes, health education and social programs that have been shown to help older adults maintain good health, reduce health care costs and lead an active, independent lifestyle.